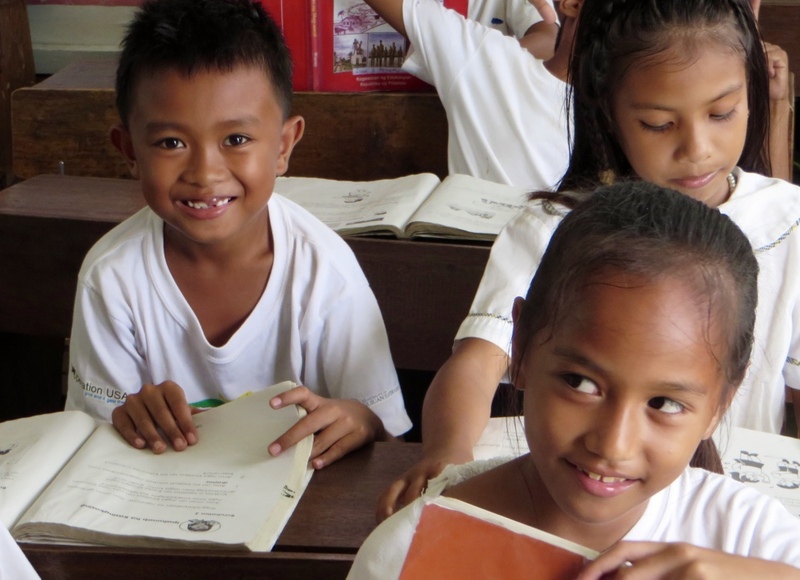 May 5, 2016 — On March 24, 2015, Operation USA and Honeywell opened the doors of Ngolos Honeywell Elementary School to more than 250 students in Guiuan. The small coastal community on the tip of Eastern Samar, in the Philippines, had been devastated by Typhoon Haiyan in November 2013. Every person in the community was impacted by the massive storm, which leveled houses, collapsed structures and destroyed infrastructure. Comprised of eight classrooms, an administrative office, bathrooms, a playground and a basketball court, and designed to withstand future disasters, the school reconstruction project provided youths in the community with a safe haven to learn, grow and thrive in the storm’s aftermath. 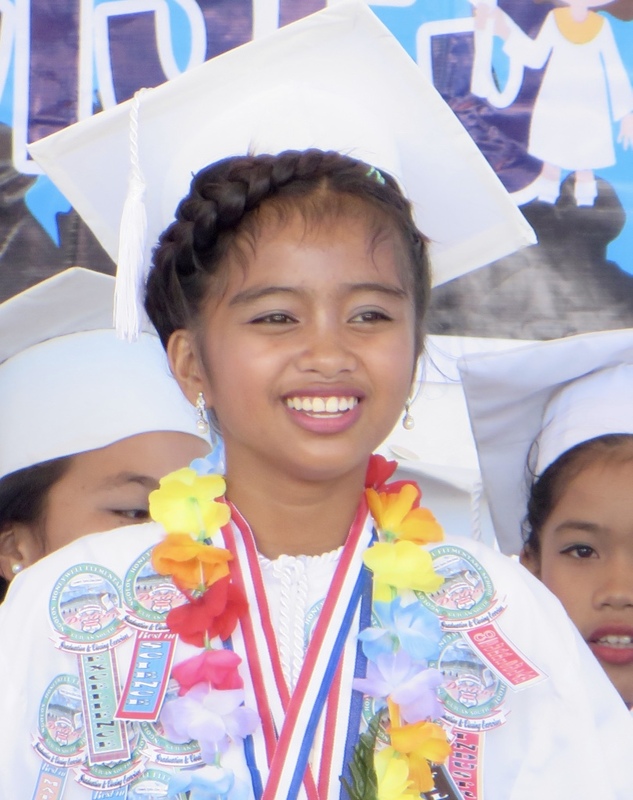 One year after the school officially opened to students in grades K-6, Operation USA programs staff members returned to Guiuan to visit with community members, check on conditions and celebrate the new school’s first graduating class. Thanks to dedicated parents, teachers and community members, the school remains in pristine condition. With school maintenance well in hand, teachers and administrators can now focus on what really matters: challenging children academically and helping them grow. In the past year, teachers have placed an emphasis on raising test scores, and have already seen improvements among students. During their visit, staff members were able to attend graduation ceremonies for the school’s 6th grade class, wishing students well as they move on to secondary schools in the area. It was a pleasure to see these students, who just two years ago had lost so much, succeed at their studies. Though the city has seen many improvements in the two years since Typhoon Haiyan, recovery efforts continue and there are still major projects to be addressed. 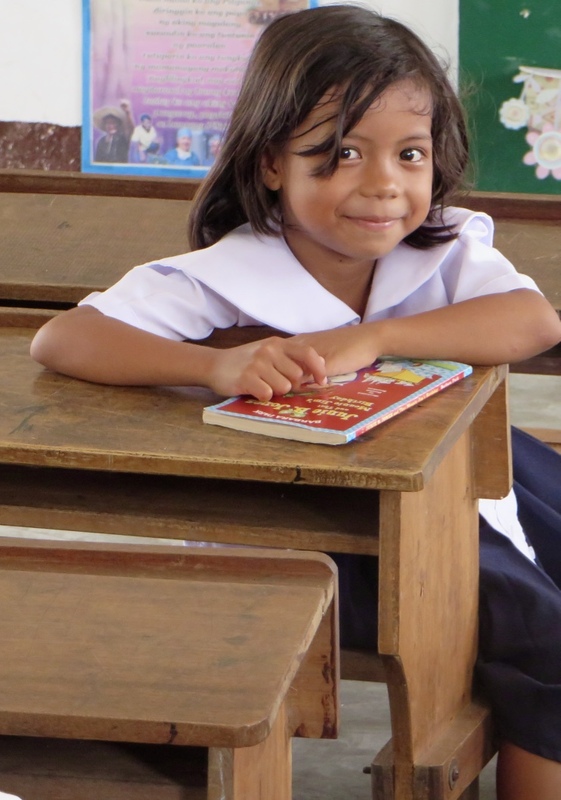 Operation USA remains committed to the community of Guiuan, providing assistance in a variety of ways in order to enhance literacy and and empower teachers to teach more effectively. Gratefully, Honeywell also remains committed to maintaining the school’s facilities for the coming years. In the months ahead, many of the school’s self-identified “priority needs” will be funded and/or provided, including: laptop computers, overhead projectors, story books, internet connectivity, ceiling fans, and a science garden. Thank you to all donors who have made this life-changing work possible. See all the photos from our recent visit on Facebook here.